Mumbai : Reliance Infrastructure Limited today announced the signing of Definitive Binding Agreement with Cube Highways and Infrastructure III Pte Ltd for the sale of its 100% stake in Delhi-Agra (DA) Toll Road Private Limited. Cube Highways and Infrastructure III Pte Ltd is a Singapore-based company formed by global infrastructure fund – I Squared Capital and a wholly-owned subsidiary of the Abu Dhabi Investment Authority. The total deal enterprise value is over Rs 3,600 crore. In addition, NHAI claims of Rs. 1,200 crore to be filed by DA Toll Road Pvt. Ltd. will flow directly to Reliance Infrastructure. Reliance Infrastructure will utilize the proceeds of this transaction entirely to reduce its debt. After the completion of the transaction for Delhi-Agra Toll Road, the debt of Reliance Infrastructure will reduce by 25% to only less than Rs. 5,000 crore. The transaction is in line with Reliance Infrastructure’s strategic plan of monetizing non-core business and focus on major growth areas like engineering & construction (E&C) business. The transaction is subject to all requisite permissions and approvals. 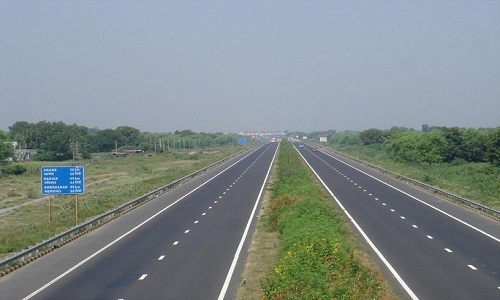 Reliance Infrastructure’s special purpose vehicle (SPV) DA Toll Road Private Limited operates the showpiece 180-km long six-lane road that connects the national capital Delhi with Agra on National Highway (NH) 2. The profitable project has witnessed impressive revenue growth of 25% in FY18. The tolling operation for the heavily-trafficked projectstarted in Oct 2012 and has a concession period till 2038.